In 1896 the restrictions affecting road transport were eased, which permitted vehicles under 3 tons to travel at up to 12 mph (19 km/h) without a red flag. The time was right and Foden produced a series of four prototype wagons. The experience gained from this, enabled Foden to build a 3-ton wagon for the War Office 1901 self-propelled lorry trial. This design was consistently faster and more economical over the arduous road trials but was placed second overall as it was claimed that the Thornycroft entry had better off-road performance. Foden's wagon was nevertheless regarded by most commentators as a clear winner (the result was questioned in Parliament by Crewe's MP). This model was the basis for a highly successful line of vehicles which were produced over the next 30 years. The great majority of Foden steam lorries were overtype, but undertypes were also produced, including the unsuccessful E-type and the O-type "Speed-6" and "Speed-12", which was a much more modern vehicle. By 1930, Edwin's son, Edwin Richard, (1870–1950) (known to everyone as simply E.R.) could see the future lay in diesel power. In late 1932 he resigned from the Board of Directors, following several years of bitter wranglings, and subsequently retired; he was 62 and ready for retirement, having spent his entire working life at Foden's. His son Dennis could not afford to resign, but was not prepared to let things ride; however, with financial input from across the immediate family a new company was set up to design and produce diesel lorries. George Faulkener, related to Dennis by marriage, became Works Manager and Ernest Sherratt, both ex-Foden employees, helped to design a new diesel wagon. Edwin Richard Foden was persuaded to come out of retirement and head the new company which became known as ERF. 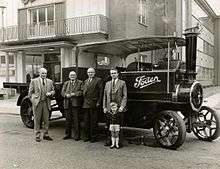 In the early 1930s, however, Foden realised that the future was diesel, and changed their production almost immediately, though the production of steam vehicles continued in diminishing numbers until 1934. 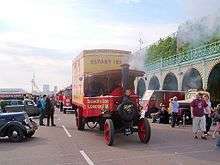 Their first diesel vehicle was the Foden F1 introduced in 1931 and regarded as the "first commercially successful type of diesel lorry". Post-war initially saw the re-introduction of the old models with few improvements, though Foden entered the bus chassis market in 1946 (a number of prototypes, including a double-decker had been built in the 1930s) by 1950 they had developed a rear-engined model, predating Leyland's Atlantean model by 7 years. Although the Foden PVR was a high-framed single decker, the cruciform chassis bracing used by Foden made an underfloor engine location as in the competitive AEC Regal IV, Leyland Royal Tiger or Daimler Freeline a non-starter. 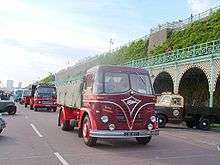 The completely new FE and FG lorry ranges were introduced in 1948, along with the new Foden FD6 two-stroke diesel engine, which became the standard engine for certain Foden heavy lorry models, such as the S18 FE6/15 Rigid Eight-Wheeler – the optional Gardner 6LW-engined version was the S18 FG6/15. (The S18 designation refers to the new cab that was produced for the new range.) The FD6 two-stroke engine, along with Gardner engines, was also fitted in Foden motorcoaches and buses. Only one Foden PVD double decker had the Foden Engine but it was popular in the PVS and PVR single-deckers, especially in coaching applications because it was a much higher revving than the Gardner 5LW or 6LW. Bus and coach production ceased in 1956 but the last chassis only left the works in 1959 when it was registered 367CKA and received an early Plaxton Panorama body. The Foden Family, outside the Elworth factory, c.1961. From L to R. (1) James Edwin Foden, son of William Foden. (2) William Foden, son of the founder Edwin Foden. (3) Reginal Gordon Foden, son of William Foden. 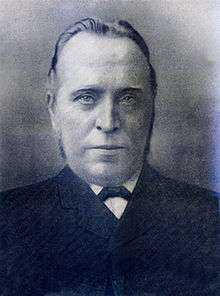 (4) David Colville Foden, son of James Edwin Foden. (5) Hugh Foden, son of David Colville Foden. The vehicle is the "Pride of Edwin" a 5-ton Compound engined that now held by the Science Museum in their Wroughton store. A massive new production facility was developed in the early 1970s on a green field site, adjacent to the Foden works. The new plant was designed for an annual capacity of 6,000 trucks, based on an expectation of a continued boom in truck sales and exports. Instead, the market collapsed. The expenditure and the economic downturn of the period saw Foden's run into financial difficulty in December 1974. It was given support by Harold Wilson's Labour government. Foden's struggled as its home market continued to be depressed. It was 1977–78 before Foden returned to reasonable profitability. Large MOD contracts to supply military vehicles helped with this recovery. The military required fibreglass cabs (strengthened for military use), meaning that civilian Foden trucks were constructed in the same way. After a period in receivership in 1980 the company was acquired by the American firm PACCAR, and is now a division of that company. By 1986, Foden employed a workforce of 450, as compared to around 3,000 at the high point. Foden specialised in highly customisable trucks, offering any paint, any drivetrain available, and even a split windscreen. Kenworth C500 oilfield trucks were also built in small numbers at the Sandbach plant. 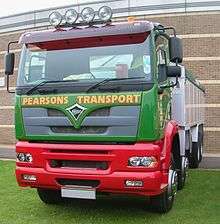 After the takeover of Leyland Trucks by PACCAR in 1998, independent Foden production ceased, and was replaced by models of DAF Trucks rebadged as Fodens (DAF Trucks having been acquired by PACCAR in 1996). These vehicles have had the option of either CAT, Detroit Diesel, or Cummins ISMe engines. The last Foden was produced in July 2006, putting an end to 150 years of Foden truck manufacturing. The final vehicle to roll off the production line at the factory in Leyland was an 8x4 rigid, which was delivered to the nearby British Commercial Vehicle Museum. ↑ Kelly, Maurice A. (1975). The Undertype Steam Road Waggon. Cambridge: Goose and Son. ISBN 0-900404-16-7. 1 2 3 Barden, Paul (December 1986). "Foden: A Family Affair". TRUCK. London, UK: FF Publishing Ltd: 40. ↑ Townsend, Edward (15 October 1980). "Fodens to restart under United States control" (PDF). The Times. Retrieved 2010-04-13. ↑ "Foden - The End?". Transport News Network. 2005-06-13. ↑ "Sob...gulp..blubber....the last Foden to come off the production line". Transport News Network. 2006-07-24. Peter Davies, Foden: A Pictoral History, Roundoak, 2005. E.L. Cornwell, Foden Trucks in Camera, Ian Allan. Harold Nancollis, Foden - My life with the company, Venture Publications, 1996. ISBN 978-1898432142. Wikimedia Commons has media related to Foden vehicles.